Lucky me! Santa (well my sister) delivered one of the gifts on my Christmas wish list. 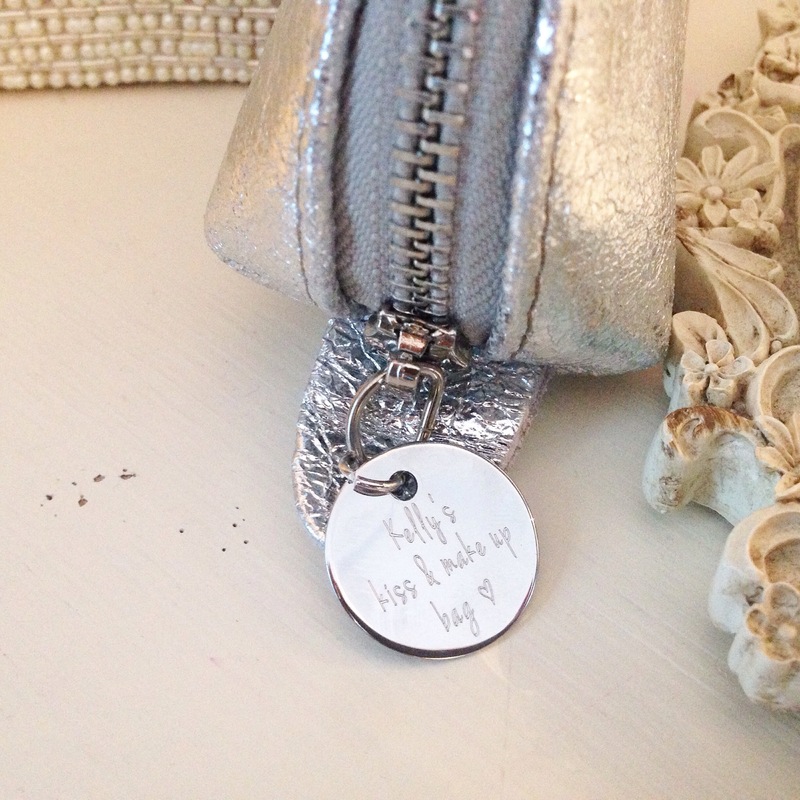 A metallic silver leather make-up bag with a cute personalised tag. I absolutely love it! It fit’s nicely in my handbag without becoming bulky. 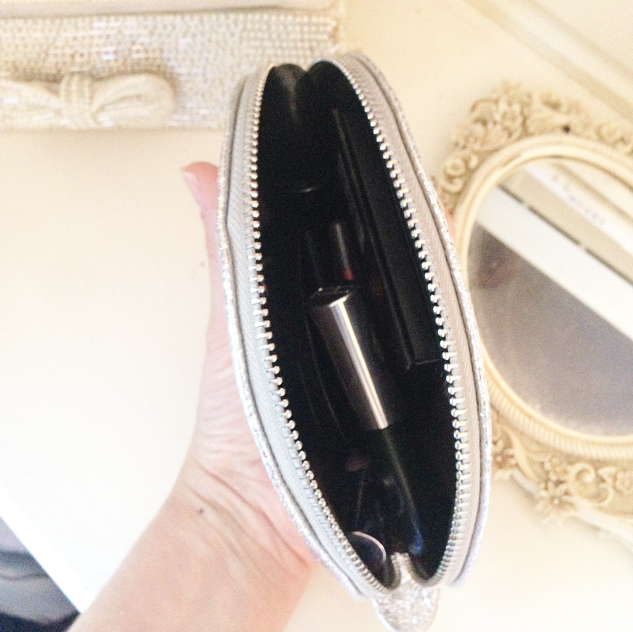 It’s the perfect size for my daily essential make up, so no risk of lugging around items I don’t need. 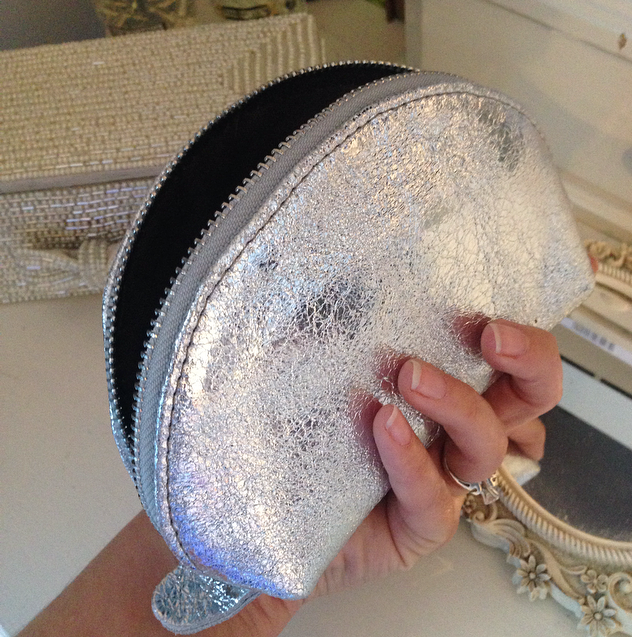 I love the classic clam shell shape with the metallic leather to give it a bit of glitzy glam!